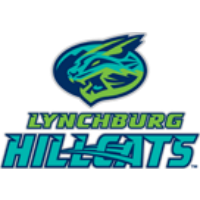 The Lynchburg Hillcats suffered their fourth shutout loss in the last eight games, falling 9-0 to the Carolina Mudcats in the series finale on Thursday at City Stadium. Carolina (27-26) blasted five home runs to lead their offensive attack, while their pitching staff struck out 19, marking the most times the Hillcats (25-25) have fanned in a game this season. Eight of Lynchburg’s last nine batters were set down on strikes. Mudcats third baseman Dallas Carroll homered on the third pitch of the ballgame to set the tone early against Tanner Tully (Loss, 2-5), who allowed runs in four of his five innings of work. Tully lasted 4.1 innings, allowing nine hits and seven earned runs, five of which came home on three home run balls against him. His final batter faced in the fifth was Weston Wilson, who blasted a three run shot just inside the left field foul pole, to give Carolina a 7-0 advantage in the fifth. Keston Hiura belted two long balls in his final two at-bats to cap a career-high five-hit game. Meanwhile, Mudcats starter Marcos Diplan (Win, 2-2) tossed 5.2 shutout innings, giving up four hits, while recording a season-high ten strikeouts. The Hillcats were held to just four hits in the ballgame and did not have a baserunner aboard beyond the sixth inning. The nine-run loss matches their largest margin of defeat this season. The game began after a 1 hour, 5 minute delay due to rain. Lynchburg will hit the road on Friday for a three-game series in Frederick, with first pitch set for 7 p.m. Right hander Eli Morgan (1-0, 3.00) will make his second start for the Hillcats, opposed by fellow righty Cristian Alvarado (5-3, 3.57) for the Keys.